Sending money from your iPhone is about to get a lot easier in Europe. Apple Pay Cash could be ready to make its debut in Europe. 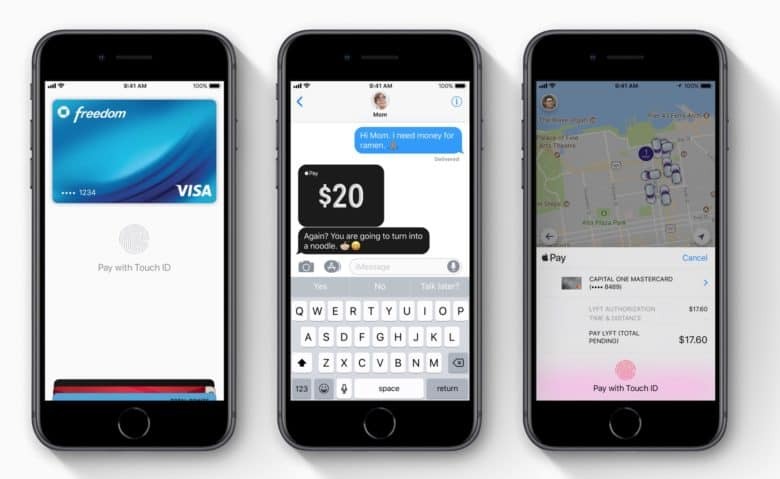 Screens invited users to set up Apple’s peer-to-peer payments service have started popping up on devices on the other side of the Atlantic this week. Apple has also started publishing Apple Pay Cash support pages in European countries. Apple Pay Cash makes it easier than ever for iOS users to send each other money. Sharing a dinner bill, settling a bet, or helping a friend in need is as easy as sending a message. Since the service made its debut last December, however, it has been exclusive to users in the U.S. It looks like that’s about to change. One Apple fan in France noticed screens that invited him to set up Apple Pay Cash on a new Apple Watch and iPhone XS Max on Monday night, French blog iPhon.fr reports. Other users throughout Europe have reported seeing the same. In addition, Apple has begun publishing Apple Pay Cash support pages for a number of European countries, including Austria, Germany, Italy, Poland, Sweden, and Russia. Those who saw the screens and attempted to set up Apple Pay Cash didn’t have much success, but it certainly looks like the service will be available in Europe soon. When it does arrive, you’ll need an iPhone 6 or later, an iPad Pro, a fifth-generation iPad or later, or an iPad mini 3 or later to use it. You will also need to be running iOS 11.2 or a more recent release.